Master Key Experience Course Launch Starts Today! 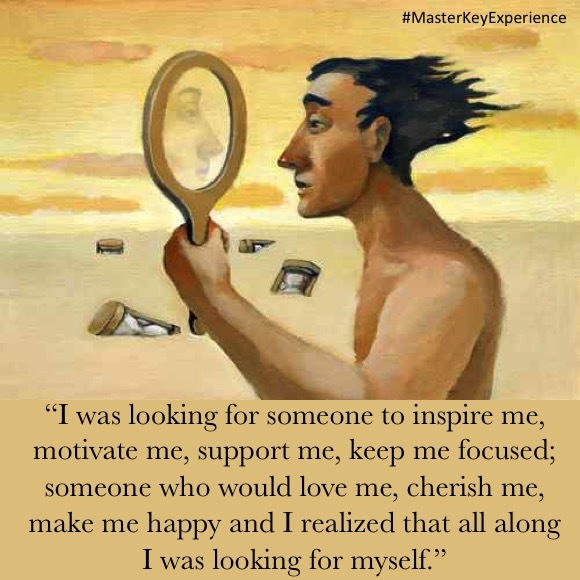 The Master Key Experience is a life changer! When I read several blogs last year, I was ready to check out what this course was. After careful review, I decided to enroll. They limited the number that could join, so I jumped in quickly. This is not a sales pitch, not a gimmick, and not an easy fix. IT WAS WORK. And it carried a commitment, too. Every day, I had to read the weekly pages, do the homework, and write weekly blogs. I have never done blogs before, so I also had to learn this as well. We joined with others to read their blogs and it was an association of others doing the same course. This was the “Alliance”. Slowly over the weeks and months, I started changing. I was much more positive and happy. I was going through some personal changes during the time, so it was awesome how everything that I was doing gave me purpose and also limited the stress that was present to nearly zero. This course is not for everyone, but if it fits into your scheme for yourself–then consider the challenge. The guides are also there for help and encouragement. Changing oneself can be a 180 (as in my case) and really worth the work. Has It Been This Long?! With the huge task of selling my house is Durham, it did take me 2 months! Everything had to be put away and then moved. When my house was sold, I did not have a house to buy. This created a great amount of confusion and pressure. A friend came to my rescue as her father-in-law had just died and the house was empty. Moving took 2 days and many trips (2 and 1/2 hours each way) to do it. Everything has since been boxed and piled up in a jumbled fashion. I finally found another house to buy, which is perfect. It still is weeks away with another move in sight. My MKMMA books, cards, and movie poster are packed away. I have been falling away from staying with it. It was so much of an ordeal with moving, I could not do the last assignment, so I caved TOTALLY. I have been lost ever since! This house move has taken much longer than I envisioned, and being away from the MKMMA rituals have not been fun. Now that the sessions are starting again, I am planning a rebirth. In retrospect, I should have started doing the assignments again much sooner. The most important thing is that I am back! I also have learned an important lesson, too. MKMMA helped me gain an important insight into myself. First of all, there were my DMP (definite main purpose) Goals for my life. These are not trite and took an enormous amount of time to realize. The alliance of 300 other people doing similar things created enormous influence and support during the arduous months of work. The daily exercises and weekly assignments were systematic and helped make each of us accomplish this. Many fell off and did not complete the tasks. But the more that I did, the more I wanted to finish. And change! Yes, change is difficult. Wanting to change was the first step. Finding the inner strength to change was really the difficult part. Without the support from the alliance (of 300+), it would have been impossible. This is a masterful course. Calling it the MasterKeyAlliance really is the best way to describe it. There is nothing that I can think of that beats it, either. With all the best intentions, there is NO WAY that I can sequester myself for 2-3 days! I am in the middle of selling my house and trying to purchase another, plus having all the financial hoops to jump through. It is a miracle to even do the daily exercises 3 times a day. Really, I am looking forward to this grind to end! At that point, I will do this as an important exercise. The expectations far exceed my patience at this point. This week has been a busy one in getting my house listed and ready to show. It also has been very wintry for North Carolina with snow, ice, and power outages. I was very used to these such things in Vermont, but here the ice is worse and it seems to shut everything down in a more profound way. My previous blog was about asking questions and I have gotten some nice ideas. Some were from the Alliance members and some were from my “sit”. The question “What am I pretending not to know” was the harder one. It came to me that my answer (and I am certain that there are others) was that “I can be what I will to be”. This is what I have been a little fuzzy about. Really believing in myself and my DMP. As others have stated in their blogs. Thoughts are the dominating factor that we are changing in profound and positive ways. Glimpses of our past blue-prints emerge and we can be ready to eliminate them with our daily exercises. Really, it is these that help to slowly make the changes. Maybe it is undoing these past ideas that takes the most work. The two questions that I seem to be asking are “What am I pretending not to know?” and “What would the person I intend to become do next?” Each day I ask the first, but I still have not found the answer. My sits have centered on more immediate tasks. I will keep asking and hope for a little more clarity. What am I pretending not to know? I will sit again tonight and ask again. I am sure that the question will be answered at some point. The second question, “What would the person I intend to become do next?” is an easier one to answer. It seems to be more task oriented and the answer to this depends upon what needs to be done step-by-step in furthering my DMP. The gal in the glass is my friend and helps me with answering this as well. Each day, I am a step closer. Yesterday was St. Valentines Day. I sent some cards to a few friends, which was gratifying. I also received some from friends, too. As for a deep loving relationship, I am certainly not experiencing one. Does this bother me, I can certainly say a resounding no. I have seen other friends and associates that hop from one to another as they do not seem to feel complete otherwise. Having my thoughts and actions with the clarity that MKE provides, is much more important. To me, I have freedom. I have choices. I have my DMP. These are what is important. These are what keeps me smiling day-in and day-out. Having a purpose and goals. Many people are too busy to experience this and are living in a virtual fog. They are living desperate lives. My choices can change. Maybe a relationship will come my way. I will welcome one, but am happy in the meantime. My life is balanced, along with my thoughts. Everything is happening as it is supposed to. This past week has been amazing! Basically as part of my DMP, I am seeking another house that fits the size and style that works best for me. The previous week, I had already contacted a real estate agent whose wife is a friend to get some listings. Unfortunately, he was leaving to do a week in Costa Rica for a project. Another friend invited me to watch the Super Bowl, so we ended up driving around looking at the real estate listings the next day. She lives an hour and a half from me, so I appreciated her knowledge of the area. This past week he returned from CR, so I went again to see my favorite pick. He and his wife liked it, too, and I put an offer on it. I am still waiting to hear a reply, but am certain that the deal is almost complete. My agent could not believe that this house was as nice as it is for such a low price. It is so much larger than my current house and also has a separate building that I can convert into a therapy office. With this possibility, it satisfies two of my DMP goals! I am jazzed that these changes are suddenly taking form. I firmly believe that with doing the exercises and staying happy, it has totally changed my life! Positive things happen to positive people; and this is a testimony that this is true.